Unpredictable weather calls for good tires! Well Spring is here and that means…we never know what the weather will bring. One day it could be sunny and warm, the next it could be snowing. 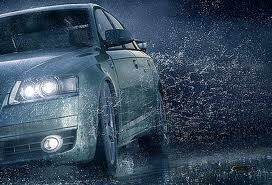 And don’t forget about RAIN-one of the most dangerous weather conditions for drivers. Rotating your tires will help reduce uneven wear, prolong the life of your tires, and keep you safe on the roads. Be prepared for the unpredictable spring driving season by rotating your tires at Jiffy Lube. Here is a coupon to save you a little money. installing lug nuts/bolts to the proper torque specifications. We recommend that the customer return within 500 miles of driving and JLI will re-torque lug nuts/bolts free of charge. 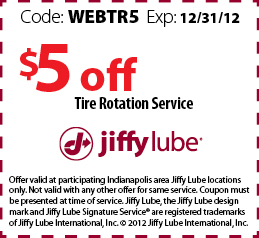 For discounts on Jiffy Lube’s Signature Service Oil Change click here.